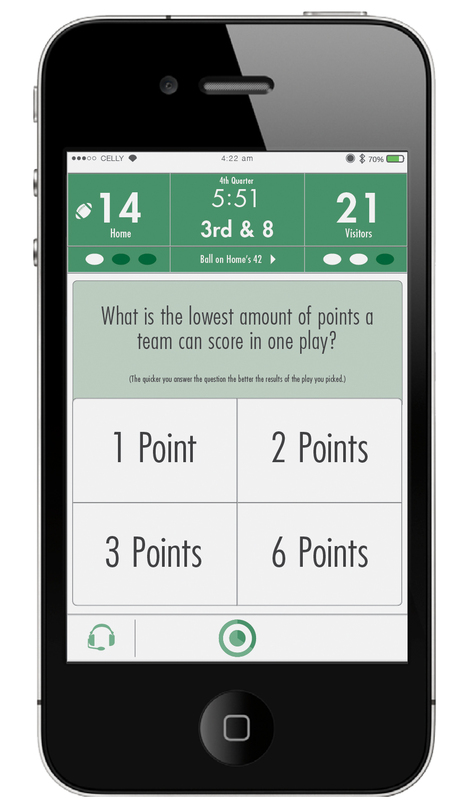 This application is a fully functioning sports education tool in which the user advances through a curriculum accompanied with photos and video references on the following topics: rules, strategy, player positions, game regulations, play types, formations, along with sayings and lingo that the user will be quizzed on weekly. 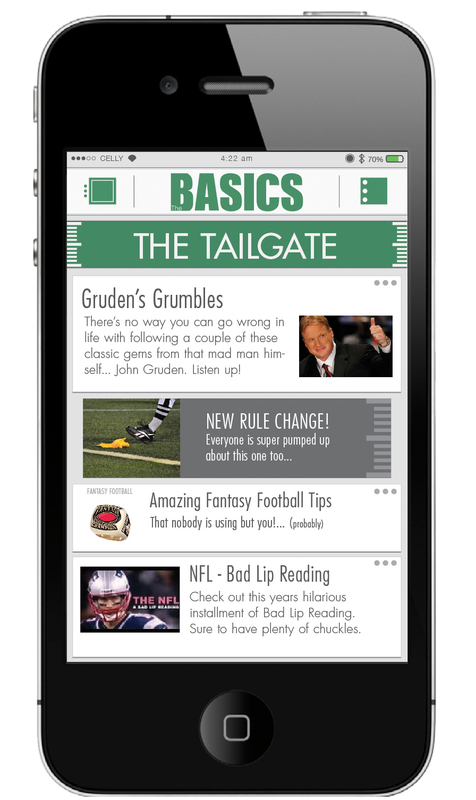 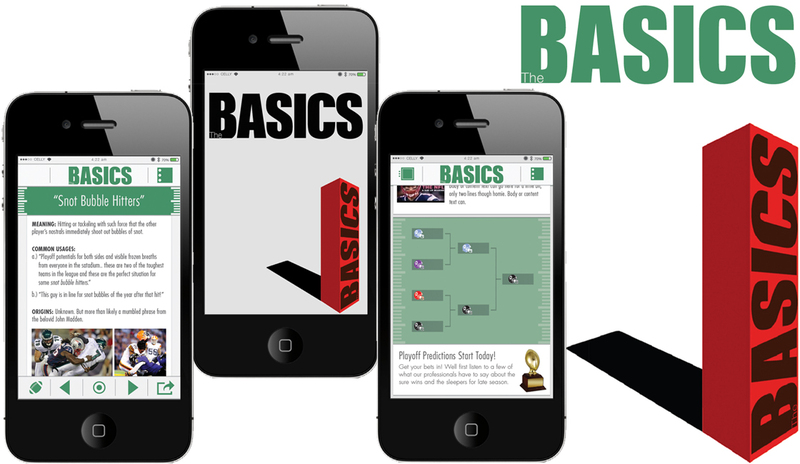 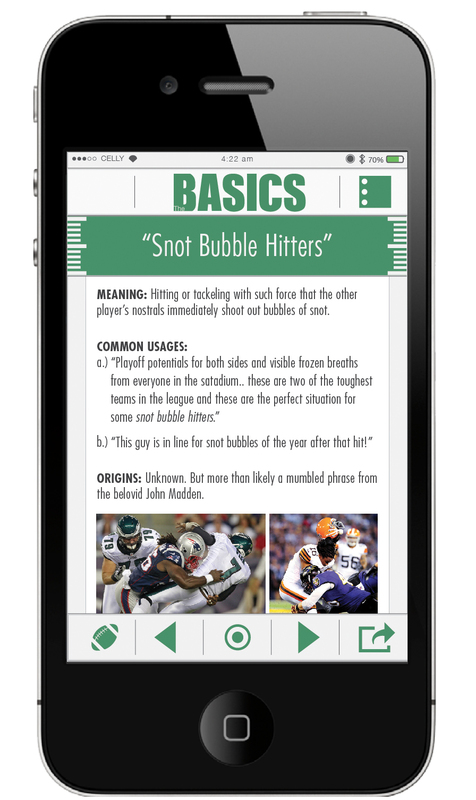 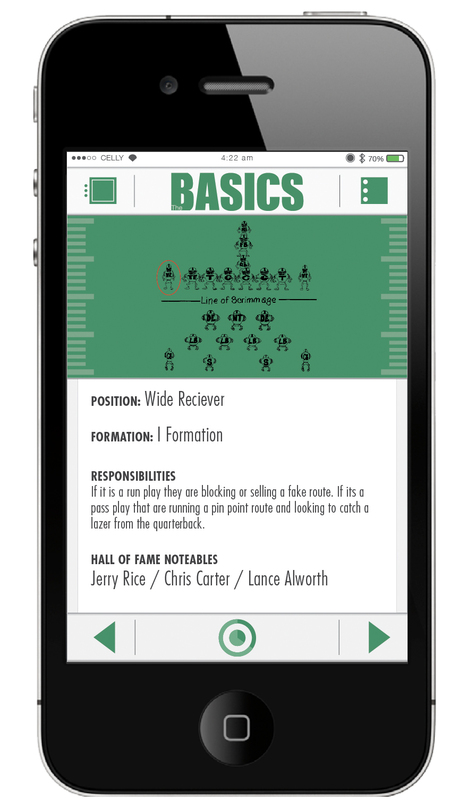 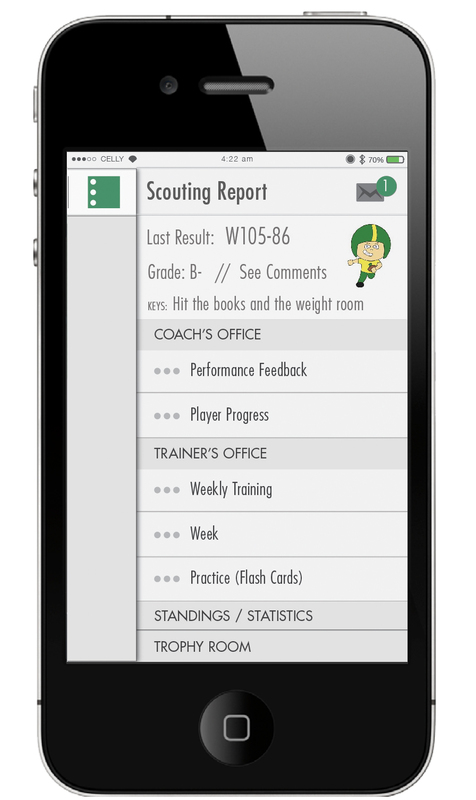 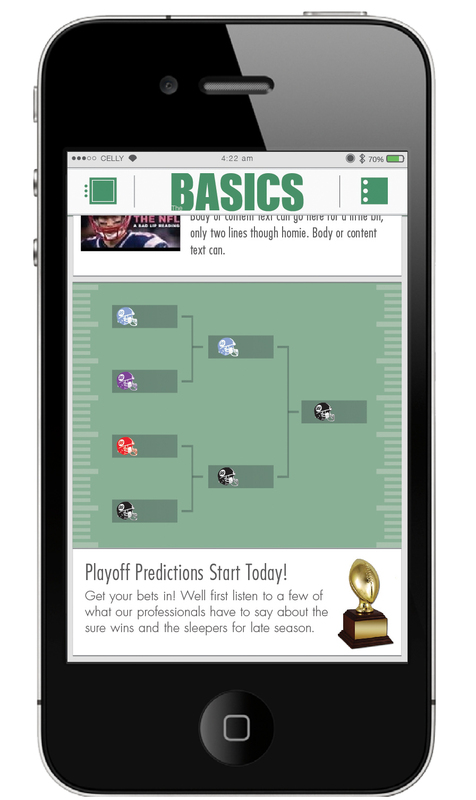 Other sections of the app include: Coach’s Office, Scouting Reports, Performance Charts, Training Room, Hall of Fame, and a Tailgate section that is the news feed for all things football. 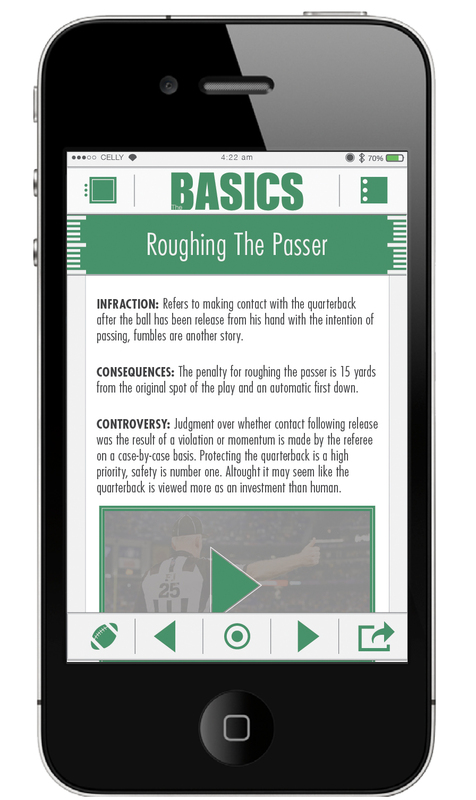 Leaving the user fully capable of talking ins and outs of football and being so well versed in the sport now they will be able to throw in some nice lingo and jokes. This project design was sparked when reminiscing with my Mah about how back in the day when my brother and I were playing every single sport we could, she was always just as involved in each sport as we were. 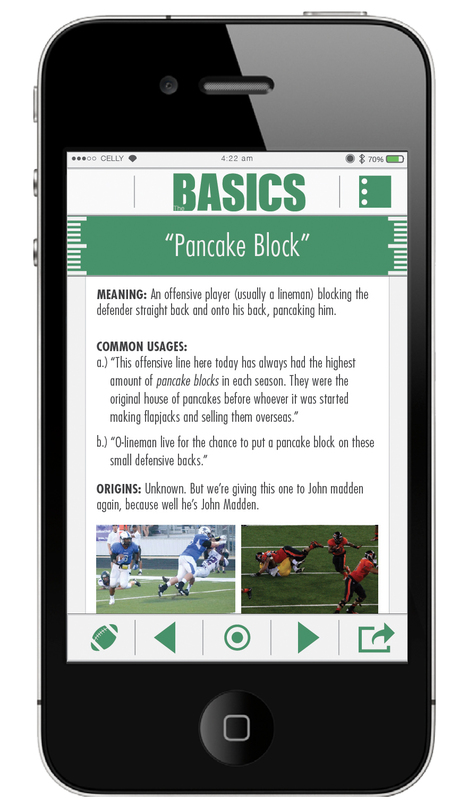 My Mah would run little seminars and lessons on the sidelines with other players parents teaching them the rules, strategies, and even explaining jokes and slang terms to them. 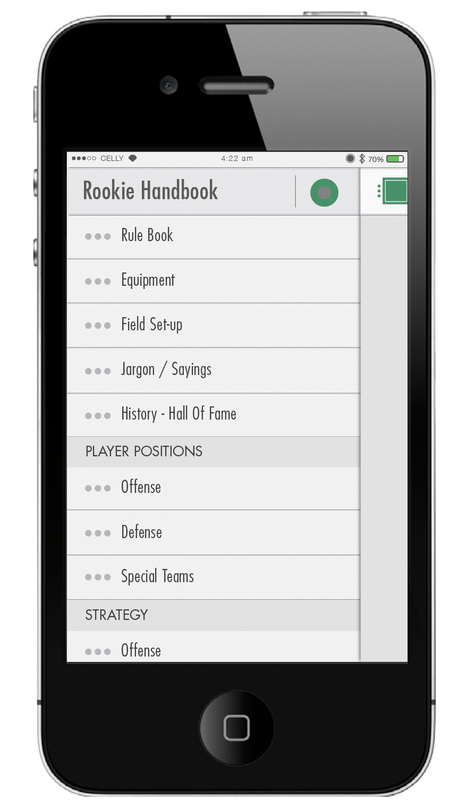 She was the go to for all parents in our league. Since American Football has more rules, regulations, procedures, and strategies involved in it than all other sports combined I decided to create this application design in attempts to replace her presence on the sidelines because my brother and I are no longer allowed to play pee-wee sports due to very specific regulations on age and weight requirements.